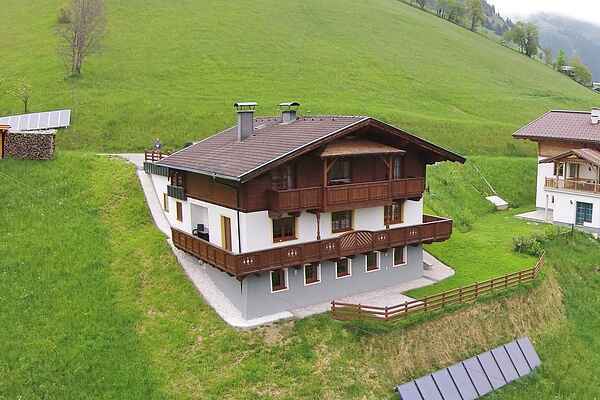 This beautiful house is situated on the sunny side of the beautiful Ellmautal near the well-known town of Grossarl. Your holiday apartment is on the ground floor, yet you have a balcony on the sunny side since the house is built into the side of a slope. The apartment is furnished in a neat, modern and cosy design and is very spacious the ideal place to spend your holiday. In summer, this tranquil location is perfect for hikers and anyone seeking peace and quiet. If you would like some entertainment, the village is just a short drive away, as well as other sights and attractions in the area. In winter, you can drive to the Grossarl ski area in about 10 minutes.